Mother Nature strikes again. We tried everything humanly possible to make the race happen, but with the impending warm, rainy forecast we're forced to cancel. Because we wouldn't be able to offer an enjoyable and safe racing experience for racers and spectators we decided to cancel, regroup, and start planning for next year! We appreciate everyone's support and hope you all have a healthy, safe, and enjoyable 2018! 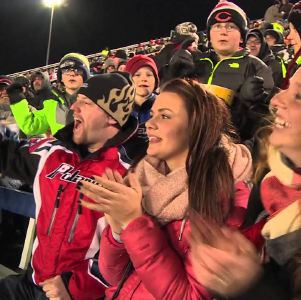 The intense, adrenaline pumping, high flying action of snocross racing comes to Syracuse for the first time ever! Watch professional and amateur racers push themselves and their machines to the limit around a huge custom built snow track filled with whoops, berms, and huge jumps in the Brown Lot at the New York State Fairgrounds! 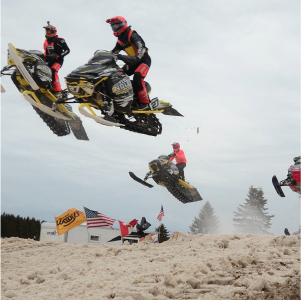 You've seen snocross racing on Winter X-Games, now see racers fly 100+ feet in the air in person! Fun for the whole family! Syracuse SnoCross Racing...........the fastest motorsport on snow! Indoor Sno-Cross for all ages.